Starting with an analyst position at The Metropolitan Museum of Art, as a Program Manager for the Google Cultural Institute, and now ITHAKA's Director of Image Content and Museum Partnerships, Piotr Adamczyk's work is focused on the use of open/linked data in cultural heritage institutions. 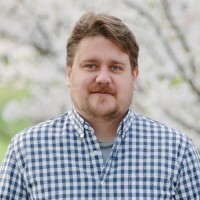 With undergraduate degrees in Mathematics and Computer Science, Piotr holds graduate degrees in Human Factors and Library and Information Science from the University of Illinois at Urbana-Champaign. Piotr has authored papers, organized workshops, and served as a Program Committee member for Association for Computing Machinery and cultural heritage conferences, and his arts research includes residencies at the Banff New Media Institute, Medialab-Prado, and Eyebeam.